"To print, or not to print?" is really not the best question you should be asking yourself when it comes to how best to achieve your company's goal of becoming more green or sustainable. The questions instead should be, "What are you trying to achieve? ", "What's the best way to get there? ", and "How can you reduce the environmental impact of your choices?" With Spectrum Printing Company, you don't need to choose between a quality printing company and an environmental-friendly printing company. Here are just a few of the green printing products we offer. With so many environmental-friendly printing products to choose from, here are just a few more reasons why we think you should choose Spectrum Printing Company to help you achieve your business goals while reducing your impact on the environment. Our environmental-friendly printing and mailing facility is located in Tucson, Arizona. We also have fully integrated mailing capabilities which means your printing services order or mail campaign will be shipped from Tucson. Shipping costs and fossil fuel emissions are drastically reduced and your carbon footprint is significantly diminished when you purchase your business printing needs locally. If you're a Tucson or Southern Arizona based business trying to be more green, you will need to consider where your online print orders ship from. Our soy-based inks are VOC free, emitting none of the volatile organic compounds associated with traditional petroleum-based inks. Who knew printing could be so environmentally friendly and affordable? When it comes to paper, we offer a broad variety of choices to help you achieve your goal of reducing the environmental impact of your printing. These options include papers with high recycled and post consumer waste content, as well as a variety of FSC or SFI certified papers that are composed of substrates obtained from renewable resources. In many cases, you can also choose papers that contain both recycled and renewable content. You can also rest assured that while we are manufacturing your printed products, we maintain a strong commitment to recycling every waste by-product of our own activities, including paper, inks, cartridges, and packaging. We use renewable energy through the Tucson Electric Power Company's "Bright Solutions" program. It's taken us some extra effort to become an environmental-friendly printing and mailing company, but it's been worth it. We're committed to taking steps that make a significant impact on our environment. Join us in this global effort and go green! Choose eco-friendly printing and mailing services with Spectrum Printing Company. 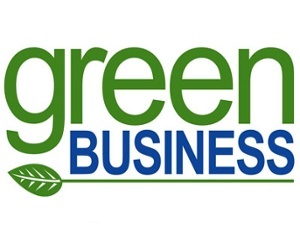 Want to learn even more about how to make your business greener? Just complete the form nearby to request a Green Printing Consultation or call us at (520) 571-1114.